Declining returns on invested capital (ROIC) in the container port sector has led to fewer terminal projects and fears that capacity may become increasing limited. According to Neil Davidson, director of ports at analyst Drewry, while ebitda levels and margins for terminal operators have remained relatively resilient over the past decade, “average ROIC has declined from 8.3% in 2008 to 5.5% last year”. “A direct consequence of this is the current low level of greenfield port projects and global projected capacity expansion at just 2%, which means terminal utilisation will increase,” he said. Mr Davidson told The Loadstar that it is the higher capital costs of building ports today, due to the need for larger cranes, deeper water and more land for yard and terminal space to cater for the larger ships that was causing the most pain. “An already capital intensive industry has become even more so. “I think that it’s also an inevitable maturing of the industry – it’s produced above average returns for decades and at some stage it had to become more ‘normal’,” he said. 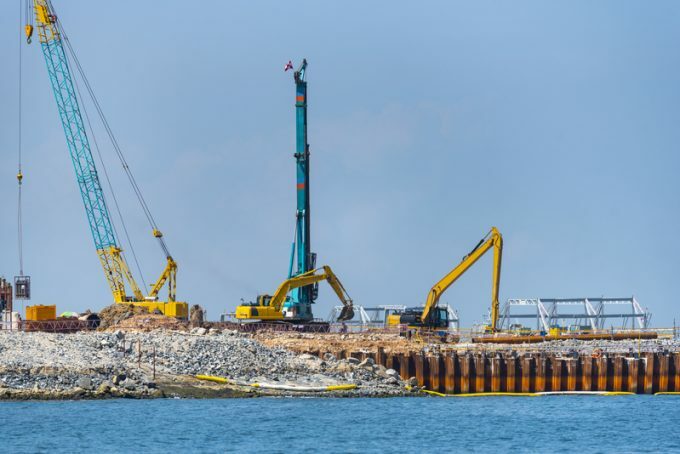 According to Drewry data, today there are some 80 greenfield – defined as new terminals, irrespective of whether they are built on greenfield or brownfield land – port projects, compared with 130 in 2009, “despite it being a much larger overall market today”. Additionally, the average additional capacity per project is also on the wane: in 2009, an average of 430,000 teu capacity was added per project, which rose to 800,000 teu in 2013, which Mr Davidson explained as being a response to the introduction of ultra-large container vessels. This year it has fallen to 650,000 teu per project. “This suggest investors are nervous about big projects and are focusing on smaller facilities, which is understandable but not necessarily what the market either wants or needs,” he said. This is illustrated by the fact that projected global terminal capacity, measured as a percentage of existing global capacity, is this year set to grow by 12%, “the lowest growth we have ever recorded”. Mr Davidson said if this trend continued, he believed the industry may see the entry of new types of investor. “The established terminal operators pursued greenfield projects because the returns were so good, but this has been declining while business risks have been going up. These players have ‘taken a raincheck’ and are focusing on optimising returns – APM Terminals is a very good example of that. “There is a requirement for a different type of investor in the industry and the established players may be replaced over time,” Mr Davidson said. However, current trade dynamics suggest gathering storms on the horizon, which will do little to bolster investor confidence. Following the latest round of tariffs introduced by the US and China this week, Drewry has reduced its forecast for global container volume growth from 5.7% to 4.3%.